Small business owners would agree: reputation is everything. When that reputation for quality dates all the way back to 1928 and your family’s name is literally on the door, the stakes are even higher. 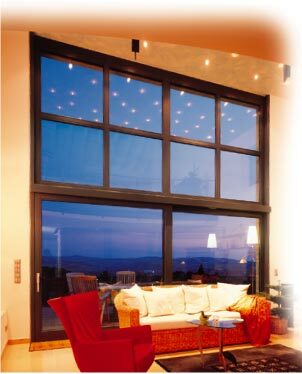 Peetz Windows and Doors, Inc. owned and managed by Chris Peetz, is a South Florida-based distributor for the German manufacturer. The third-generation company employs roughly 25 people in their Weston facility. Their customers include contractors and architects, seeking the highest quality windows and doors for their clients. While their products are designed to last, the company’s method of tracking employee time – handwritten timesheets – definitely needed a renovation. The decision to automate employee time and location was spurred when a crew was essentially caught missing in action. Peetz Controller & Administrator, Laura Lipton, explained, “My boss showed up at a job site unexpectedly, around 3pm on a Friday, and everybody was gone – they were supposed to be there working.” With oftentimes 10 or more active jobsites, management became concerned that this might not be an isolated incident. Installers, project managers and their crews were moving between jobsites and filling out their own timesheets – with virtually no accountability. Laura Lipton, Peetz Windows and Doors, Inc.
Lipton described the setup process on both the smartphone app and IVR system as being “easy”, and with the exception of a few compliance issues, employees have adapted to the system quickly. In terms of valuable features, Lipton raved about the printable reports, saying “I really like the reports with the (color-coded geofence) globes. At the end day, if we get audited or run into any problems, it’s evidence. Having back up data is important.” Now that management’s greatest need – accurate daily documentation of where employees are – has been met, Peetz plans to take advantage of more Timesheet Mobile features. With employees on board and hours in check, Peetz is ready to start exploring more of what Timesheet Mobile has to offer. Lipton explained, “Soon, we’ll be utilizing the customer data to measure individual job hours and be able to compare our costs against what we’re billing and what we’re charging.” Although Peetz has been using Timesheet Mobile for nearly two years, they are in many ways just getting started. We look forward to helping this small family business continue to thrive.